This Flambeau tool cart not only stores your tools, it gets them to the job site and gives you a space to use them! 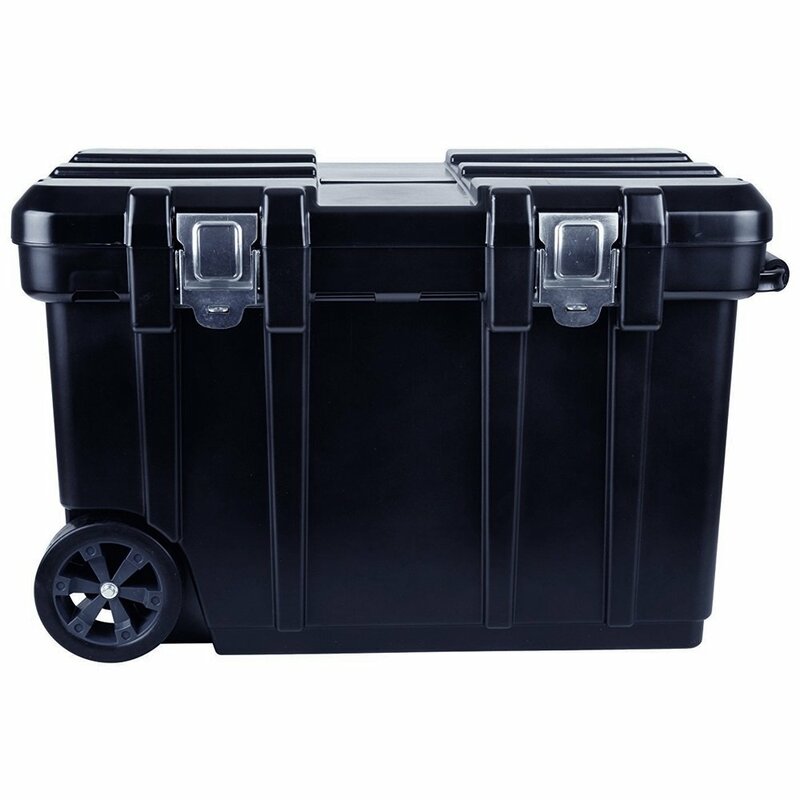 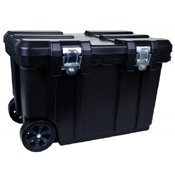 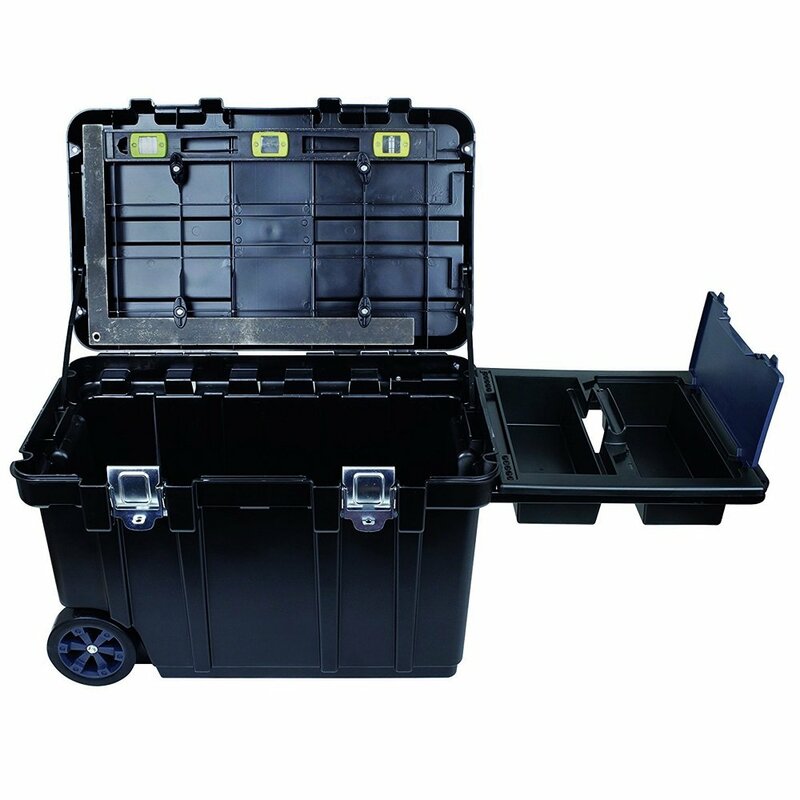 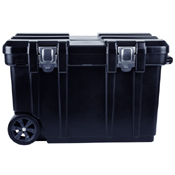 It has a durable high-density polyethylene shell with an inner capacity of 24 gallons. 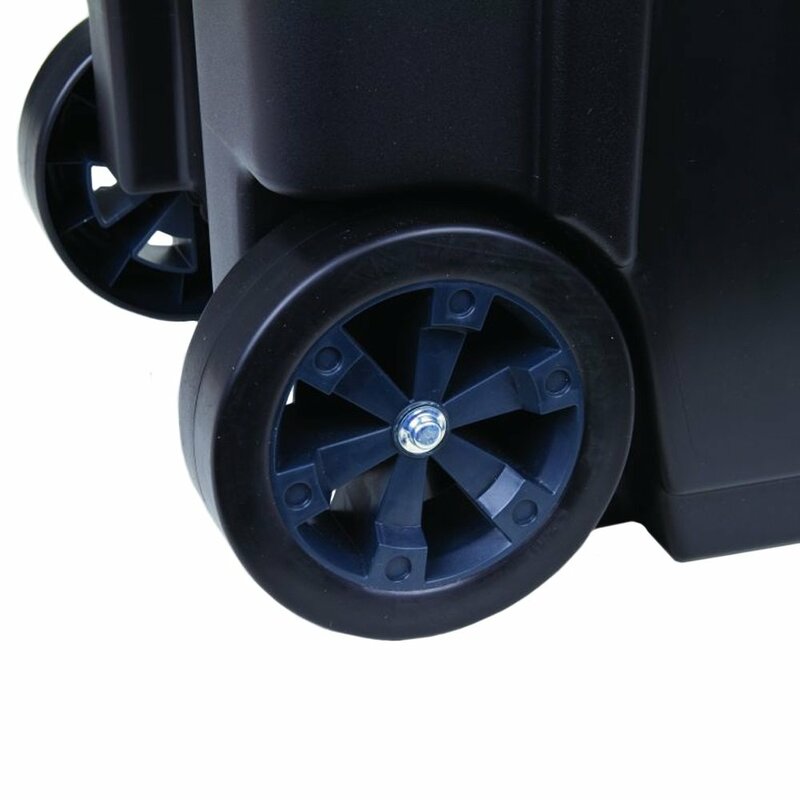 Even when its fully loaded, the retractable padded handle makes it easy to roll this chest around. 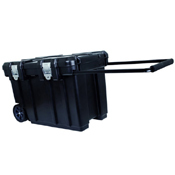 The lid has slotted grooves to hold 2x4 lumber and the removable tray can be stacked along side for extra work space. Inner compartment measures 27.25" x 13.5" x 17.5". Why choose this tool chest?